Let’s create safer drivers together! Click below and let us send you a free demo copy of our fleet driver training. No payment info required. Request Your Free Demo Copy Here! Before your drivers begin their online training with us, they will go thorugh a 20 minute assessment to determine their strengths and weaknesses. Each driver is then given a 15 page report, along with a customized training plan based on their unique results. In addition to periodic reinforcement training, if your organization utilizes driver monitoring technology, you can quickly use that data to create custom training plans based on real events that have occurred from during real driving situations in the real-world. This interactive 60 minute course was designed from the ground up, just for commercial van drivers. It covers topics such as proper loading / unloading, vehicle balance & weight shift, blind spots, and safe handling. 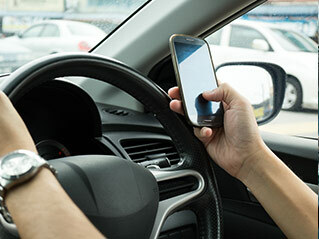 In this 35 minute course, drivers will learn about the different forms of distracted driving, as well as the unique dangers those distractions pose. Your drivers will also learn how to spot distracted drivers and drive safely when encountering them on the road. Aggressive driving is a major factor in auto crashes. 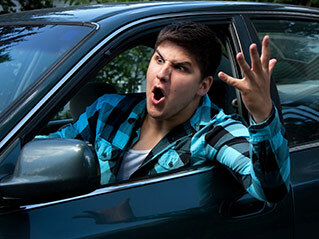 This 35 minute course will teach your drivers how to handle aggressive drivers on the roadways, as well as how to control their own emotions and deal with their own frustrations when driving. 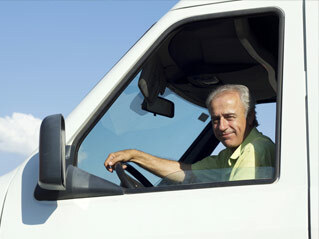 Drowsy driving is a major problem among fleet drivers of all types and poses significant risks. Drivers will learn how to reduce those risks by understanding how to manage and prevent fatigue while driving. This 20 minute course is a true life saver. Proper defensive driving means being a proactive driver. This 90 minute course will help reduce collisions by teaching your drivers about risk management and how to use collision avoidance techniques while driving. Saving fuel means saving money. In this course, your drivers will learn how to drive in a way that maximizes fuel efficiency. The driving techniques learned here will also help you reduce maintenance costs on your vehicles resulting in a great return on investment. Get Your Free Demo Copy Now! Fill out the form below to get your FREE demo copy of our interactive online fleet training program. No payment info required.